As a long-time Green Arrow fan, I am absolutely freaking out about Alex Maleev doing covers for this book. 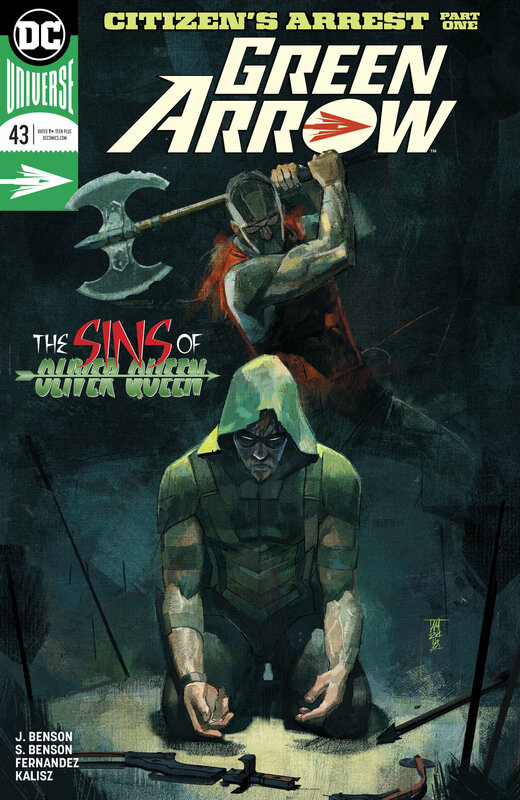 By Zack Quaintance — Green Arrow #43 starts a new chapter for Oliver Queen and company (heh), one written by sisters Julie and Shawna Benson and illustrated by Javier Fernandez. That new team follows an all-time great Green Arrow run by Benjamin Percy with artists Juan Ferreyra and Otto Schmidt. This is actually the second issue of Green Arrow for the Bensons, who teamed with artist Carmen Nunez Carnero on Green Arrow Annual #2 (a No Justice tie-in) in May. Phew. Now that introductions are finished, let’s get to it...so, like, is this comic still good? Anyway, those are all big picture story strokes. Green Arrow at its best, however, is a book that lives in smaller moments, in pretty bird pet names and the dichotomy of a family-monied corporate exec dual-lifeing it as a bleeding heart crusader. Thankfully, issue #43 takes aim at the endearing minutiae and nails its target dead-on (arrow joke, get it?…sorry). From panel to panel, this book brims with small but telling characterization: Ollie donning ear guards before going down to see Canary, the banter between Roy-Ollie-Dinah over chilli, Ollie’s posture and demeanor and cool-boss-guy garb at his office—it’s all just so quintessentially Oliver Queen. Nailing the characterization was something Percy did incredibly well (he brought back the goatee! ), and as such this transition to a new team is as smooth as an expertly-nocked arrow slicing through the air toward a bullseye (sorry again!). Fernandez’s clean linework and frenetic action sequences are also a treat, and the Alex Maleev covers bring a fantastic savagery to these proceedings before we even hit page one. The emerald archer, in other words, seems to be in good hands. Oh! A closing thought...what if the box Martian Manhunter gave Ollie that can destroy the Justice League (the one Ollie gives Roy directions to as an insurance policy...should something happen to me) factors into Heroes in Crisis? That box is the Chekhov’s gun of the DC Universe right now...it’s obviously going off by act three.